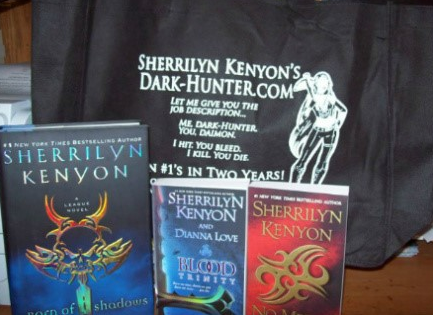 I entered the Sherrilyn Kenyon contest this evening. I can’t remember if I entered it before. Like everyone else in the world, things have been chaotic around here lately.. If I did double enter, I’m sorry. Your second contest I signed up for when it first started. There are some of my favorite authors on both of those lists. What a great idea for increasing your following plus making 5 romance readers very happy. Thanks, librarypat! And I so hear you on not remembering stuff – I’d forget my head if it wasn’t attached! Just wanted to send my thanks for supporting all these wonderful authors! I enjoy your writing style truly enjoying this site. “Nature is God’s greatest evangelist.” by Johathan Edwards. Excellent post. I was checking constantly this blog and I’m impressed! Very useful info specially the ultimate phase 🙂 I care for such information much. I was seeking this certain information for a very lengthy time. Thank you and best of luck.